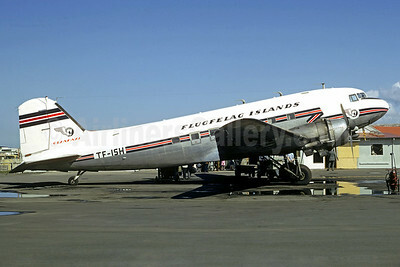 Flugfelag Islands (Icelandair) Douglas C-47A-DK (DC-3A-456) TF-ISH (TF-NPK) (msn 13861) (Jacques Guillem Collection). Image: 927395. 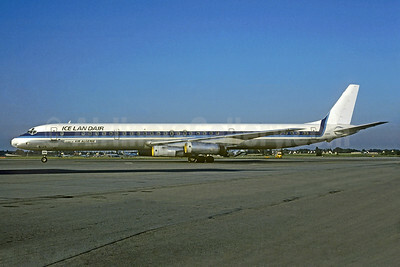 Icelandair (Overseas National Airways 2nd) McDonnell Douglas DC-8-71 N917R (msn 46099) (ONA colors) LUX (Christian Volpati Collection). Image: 925028. 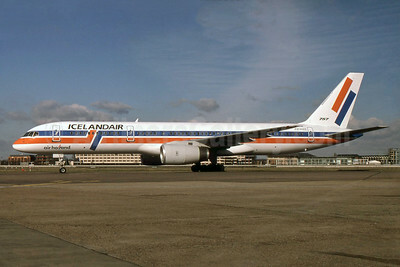 Icelandair-Air Algerie McDonell Douglas DC-8-63 C-FCPS (msn 45929) (Worldways colors) MAN (Christian Volpati Collection). Image: 937833. 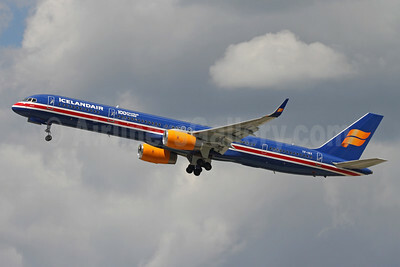 Icelandair-Air Holland Boeing 757-27B PH-AHE (msn 24135) (Air Holland colors) LHR (SPA). Image: 929829. 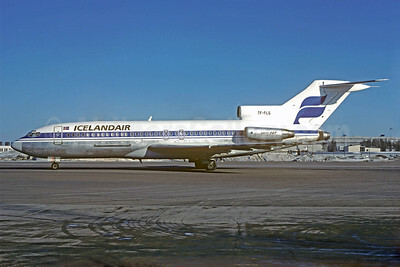 Icelandair Boeing 727-185C TF-FLG (msn 19826) HAM (Christian Volpati Collection). Image: 925026. 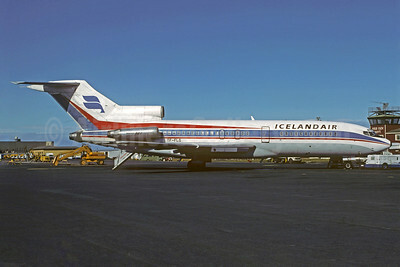 Icelandair Boeing 727-185C TF-FLG (msn 19826) KEF (Christian Volpati Collection). Image: 910491. 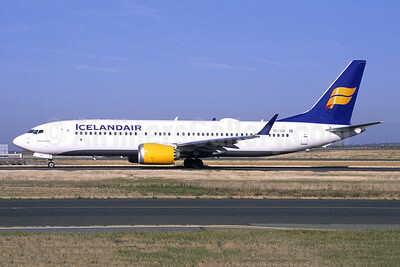 Icelandair Boeing 737-8 MAX 8 TF-ICE (msn 44353) BFI (Joe G. Walker). Image: 941076. 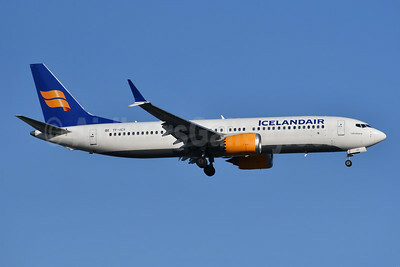 Icelandair Boeing 737-8 MAX 8 TF-ICY (msn 44354) LGW (Antony J. Best). Image: 944338. 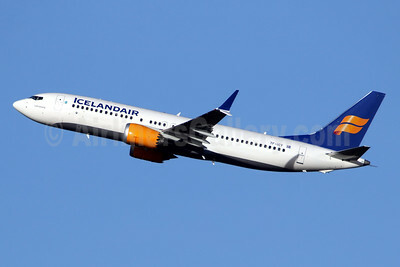 Icelandair Boeing 737-8 MAX 8 TF-ICY (msn 44354) LGW (Antony J. Best). Image: 944339. 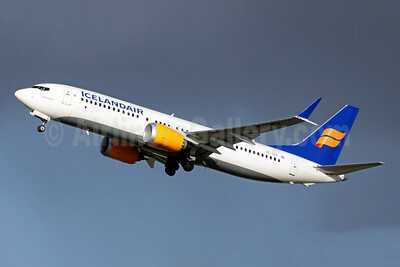 Icelandair Boeing 737-8 MAX 8 TF-ICY (msn 44354) LGW (SPA). Image: 944878. 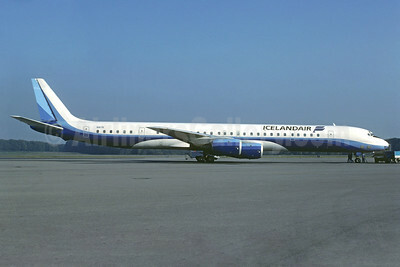 Icelandair Boeing 757-3E7 WL TF-ISX (msn 30179) (100 Years Icelandic Independence) FRA (Jacques Guillem Collection). Image: 943442. 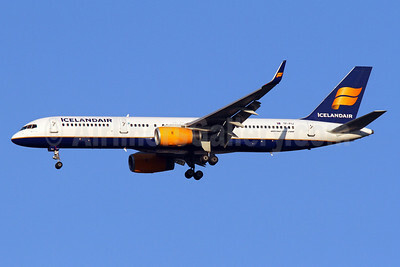 Icelandair Boeing 757-3E7 WL TF-ISX (msn 30179) (100 Years Icelandic Independence) LGW (Antony J. Best). Image: 944343. 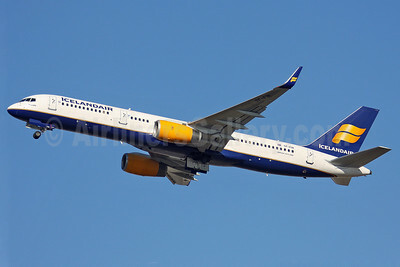 Icelandair Boeing 757-3E7 WL TF-ISX (msn 30179) (100 Years Icelandic Independence) LHR (Antony J. Best). Image: 945482. 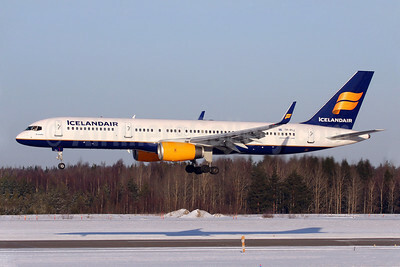 Icelandair Boeing 757-3E7 WL TF-ISX (msn 30179) (100 Years Icelandic Independence) MUC (Arnd Wolf). Image: 944330. 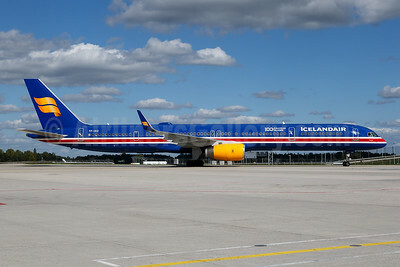 Icelandair Boeing 757-3E7 WL TF-ISX (msn 30179) (100 Years Icelandic Independence) ZRH (Andi Hiltl). Image: 942500. 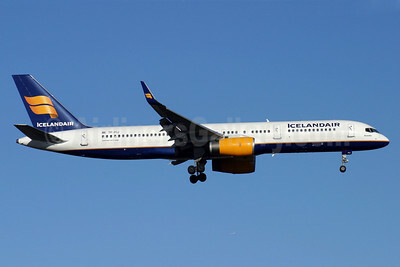 Icelandair Boeing 757-23N WL TF-FIC (msn 30735) IAD (Brian McDonough). Image: 942872. 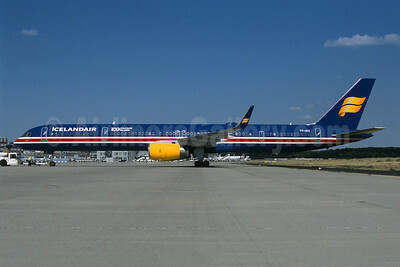 Icelandair Boeing 757-28A WL TF-FIK (msn 26276) ZRH (Paul Bannwarth). Image: 932244. Icelandair Boeing 757-208 TF-FII (msn 24760) MAN (Rob Skinkis). Image: 910282. Icelandair Boeing 757-208 WL TF-FII (msn 24760) YYZ (TMK Photography). Image: 908118. 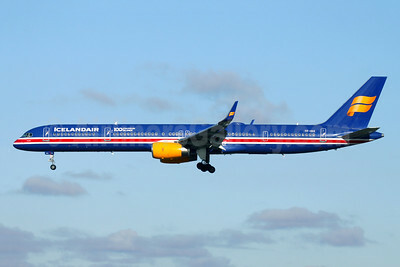 Icelandair Boeing 757-208 WL TF-FIJ (msn 25085) ARN (Stefan Sjogren). Image: 900154. 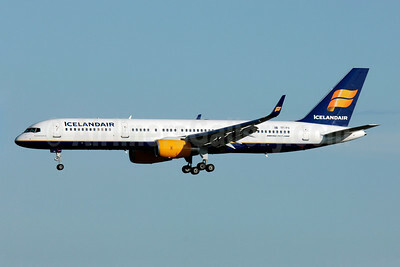 Icelandair Boeing 757-208 WL TF-FIJ (msn 25085) IAD (Brian McDonough). Image: 913499. 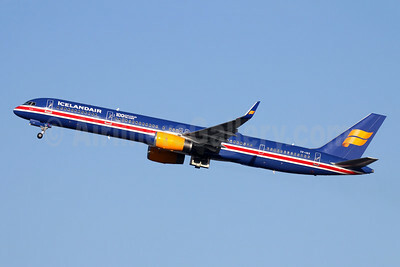 Icelandair Boeing 757-208 WL TF-FIJ (msn 25085) LHR (Antony J. Best). Image: 900155. 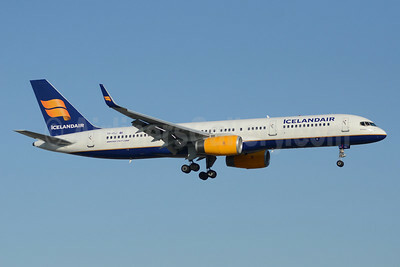 Icelandair Boeing 757-208 WL TF-FIJ (msn 25085) YYZ (TMK Photography). Image: 912607. 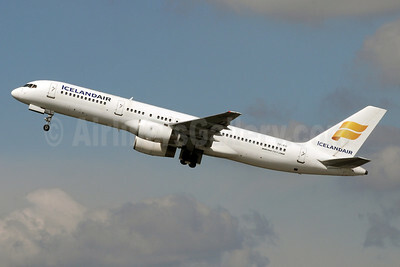 Icelandair Boeing 757-208 WL TF-FIN (msn 28989) LHR (Keith Burton). Image: 902340.